The arrival of peer-to-peer companies in the UK a decade ago was supposed to start a lending revolution. As online sites that channel investors’ cash directly to borrowers, P2P groups trumpeted their ability to cut out the banks as middlemen. The online lenders said they could facilitate loans more efficiently than banks and offer a superior service, while giving investors attractive interest rates. But 10 years on from the launch of Zopa, the world’s first P2P site, the nascent sector is muscling in on traditional banking — the very market it set out to disrupt. The clearest sign of the transition came last month, when Zopa revealed it was applying to UK regulators for a banking licence . Zopa said it was to provide a wider range of savings and credit products. Some platforms in the US, such as Affirm, have also expressed interest in becoming banks, in order to take deposits. Others, such as student lender SoFi, have elements of their business that already resemble banking. Their moves into mainstream banking have raised questions over whether the peer-to-peer model is viable for the long term — or if it will ultimately mirror the industry it is trying to upend. Some believe Zopa’s request for a banking licence reflects the challenge of competing with traditional high street lenders for cheap deposits. 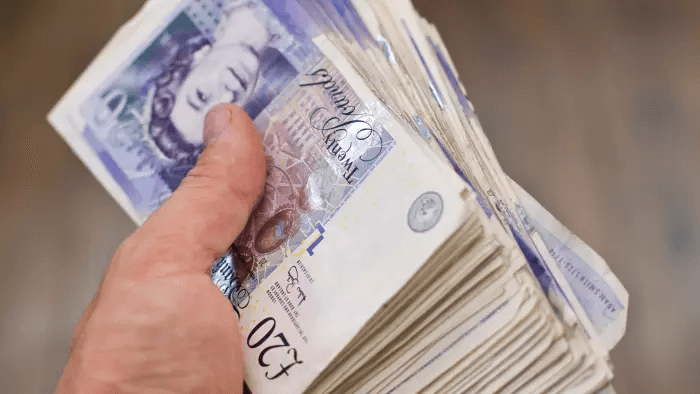 Unlike a bank, a P2P site cannot provide investors’ money with cover from the Financial Services Compensation Scheme in the event it goes bust. P2P groups therefore have to pay more to attract investors — or lenders — for taking on the greater risk. The banking licence will allow Zopa to offer deposits protected by the FSCS, and credit cards and overdrafts, in order to boost lending to individuals. Zopa had previously been attracting retail bank deposits through a tie-up with challenger bank Metro. There are other signs that some P2P sites have been morphing into banks. One is the advent of the “provision fund” offered by some platforms, where borrowers pay in a fee to help cover potential losses. This month, Andrew Bailey, chief executive of the UK’s Financial Conduct Authority, said the protections from the provision fund seemed similar to depositing money in a bank, potentially giving investors a false sense of security. “We’ve seen some cases of marketing where what goes with the reserve fund is saying ‘and nobody has ever lost money in our fund’ but of course it isn’t a bank contract in that sense and that does worry us that it can trend towards being misleading, frankly,” he said. P2P lenders are also coming under scrutiny as they undergo the FCA’s authorisation process in order to continue operating — and regulation of P2P is expected to get tougher. The FCA recently said online lenders had at times hidden the true performance of their loans from investors. The evolution of P2P and its shift towards banking is making it more complicated and arguably less transparent, according to industry analysts. Research by the University of Cambridge and Nesta this year found banks and other institutions accounted for a quarter of lending on P2P sites. Also, platforms are showing few signs of needing funding. Zopa wrote to its customers this month saying it would not be accepting new money from lenders because of falling demand from borrowers.